Concerned Atlanta Residents came together for #MAYDAYATL 2017 on April 30th & May 1st to celebrate #MayDay, International Workers Day and speak truth to power in The City of Atlanta. 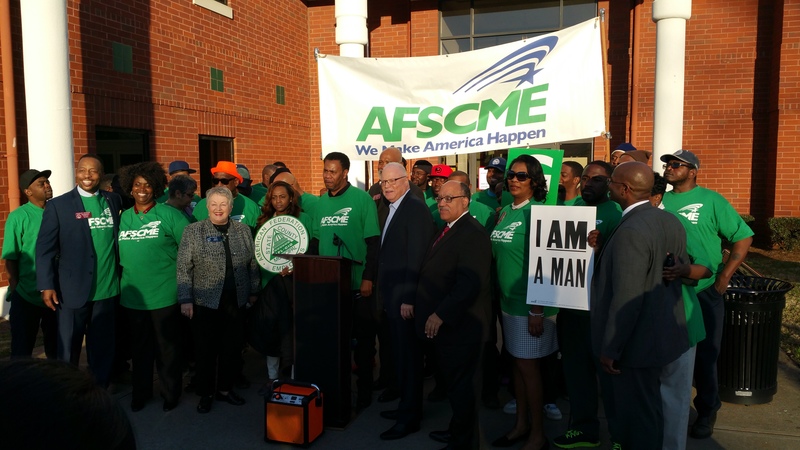 On April 30th, Atlanta Jobs with Justice and the Atlanta-North Georgia Labor Council hosted the #MAYDAYATL Prep Rally & Workers Memorial Day to honor the memory of Georgia Workers who lost their lives working on the job. 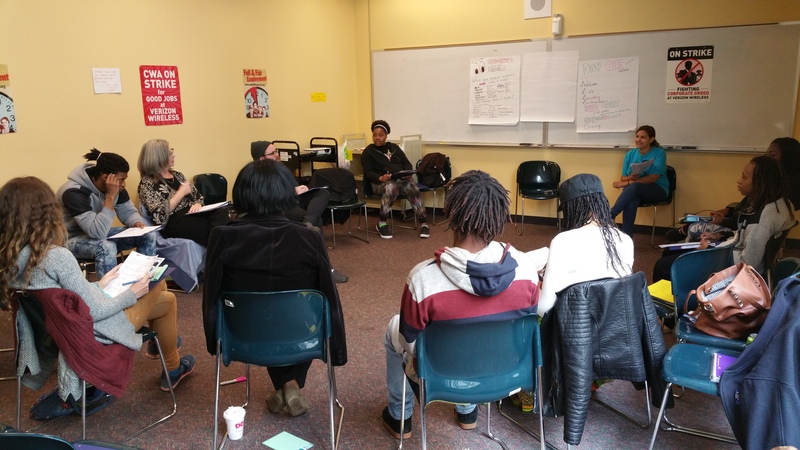 We also educated our community on the history of May Day, our many historic labor and social justice heroes, and share the work of our many partner organizations. 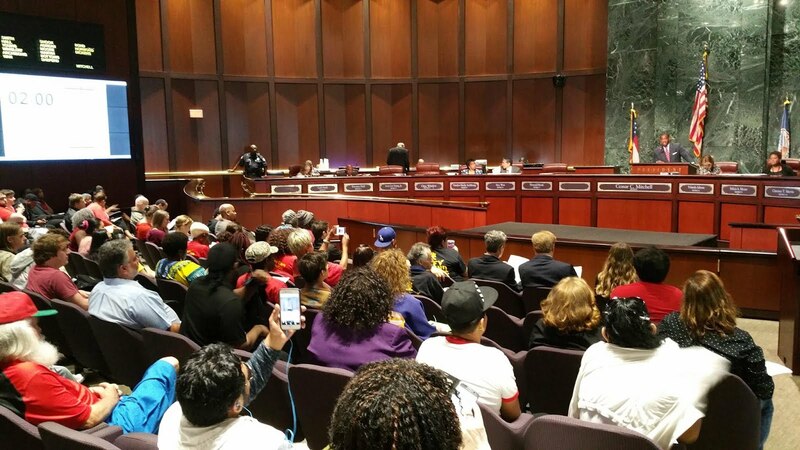 On May 1st, #MayDay2017 Atlanta Jobs with Justice and GLAHR hosted the historic #MAYDAYATL 2017 Rally & Speakout in Atlanta City Council. 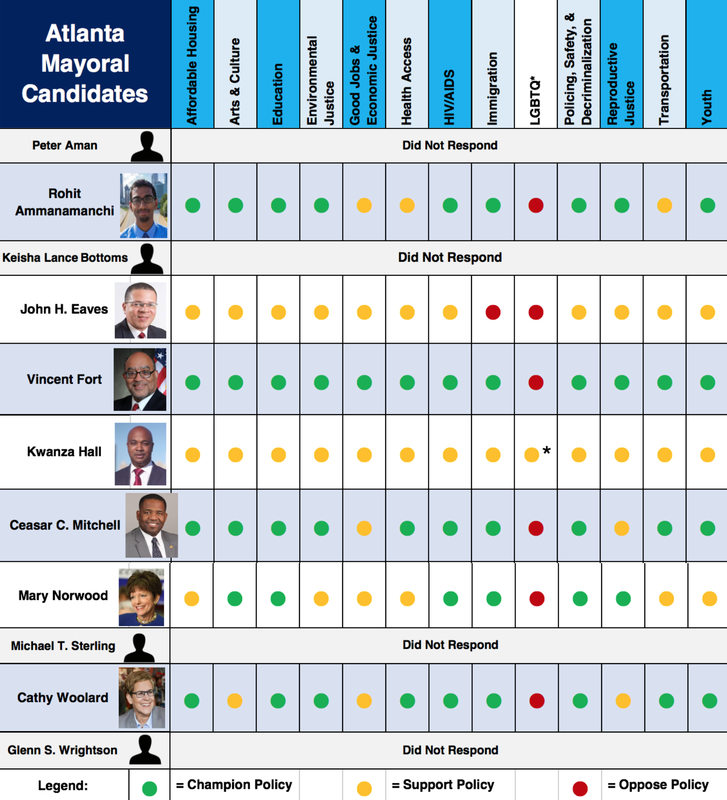 We made history on May 1st, 2017 by having the most people in Atlanta's history speak in the Atlanta City Council meeting. 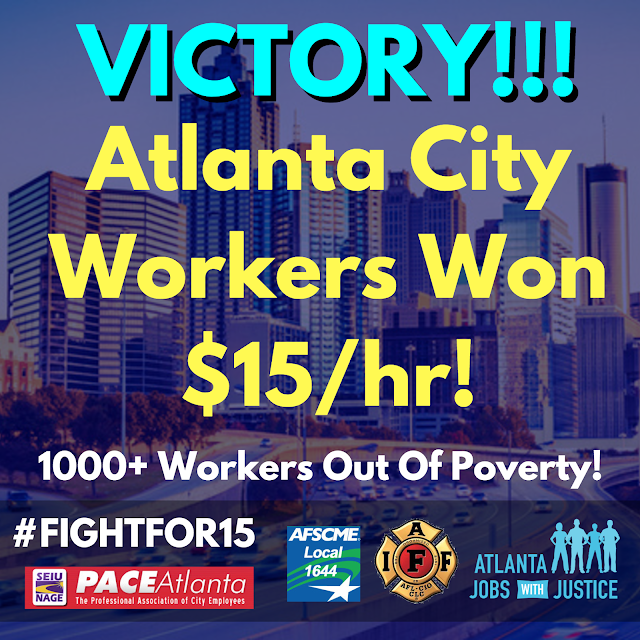 Hundreds of workers, immigrants, women, youth, and other Atlanta residents united behind demands for $15 for City of Atlanta Employees, Atlanta to be a sanctuary city, affordable housing and a community benefits agreement for the Turner Field development, decriminalization of marijuana and criminal justice reform, and the city to shift to 100% renewable energy. These concerned residents took action to speak truth to power by braving the wind and rain at the outdoor rally in the morning, waiting for up to an hour to sign up to speak in Atlanta City Hall, and participating in about 5 hours of public comments to voice their concerns and demands for justice in Atlanta. #MAYDAYATL 2017 CALL TO ACTION!!! TAKE THE DAY OFF & WEAR RED FOR MAY DAY! Workers, immigrants, women, LGBTQI, Formerly Incarcerated, artists, activists; EVERYONE TAKE THE DAY OFF to unite and stand up together at Atlanta City Hall for a historic day of action on #MayDay, May 1st International Workers Day! The resistance of working people is more critical this year than it has been all of our lives. 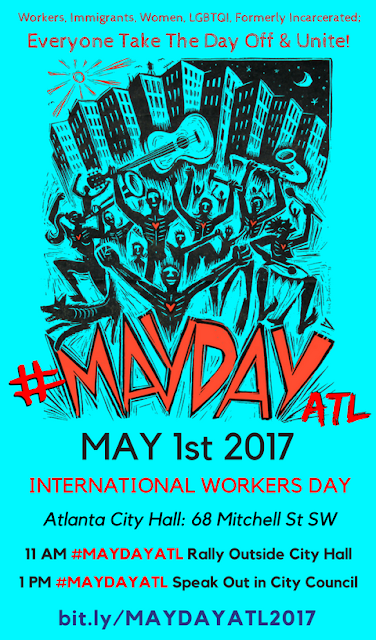 Join us in making the #MAYDAYATL 2017 a moment for resistance and worker power that this city won't forget. Our leader, Chartisia Griffin, was featured by WABE Atlanta's NPR News for speaking out about the need for fair scheduling for shift workers! 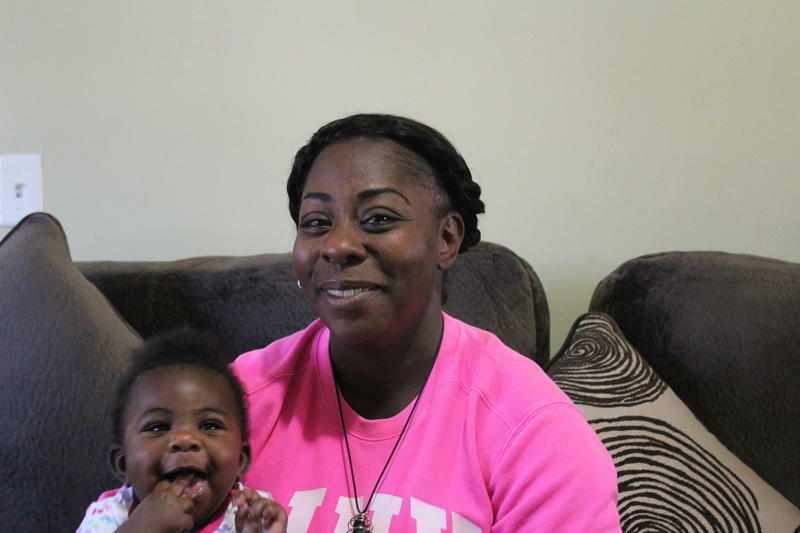 She was speaking out against HB 243 a bill proposed in the GA State Assembly that would prevent local municipalities from requiring businesses to compensate their employees when they send workers home early or cancel their shifts with little to no notice. 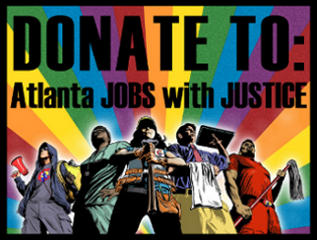 This march Atlanta Jobs with Justice kicked off our ATL Economic Freedom Leader Training. 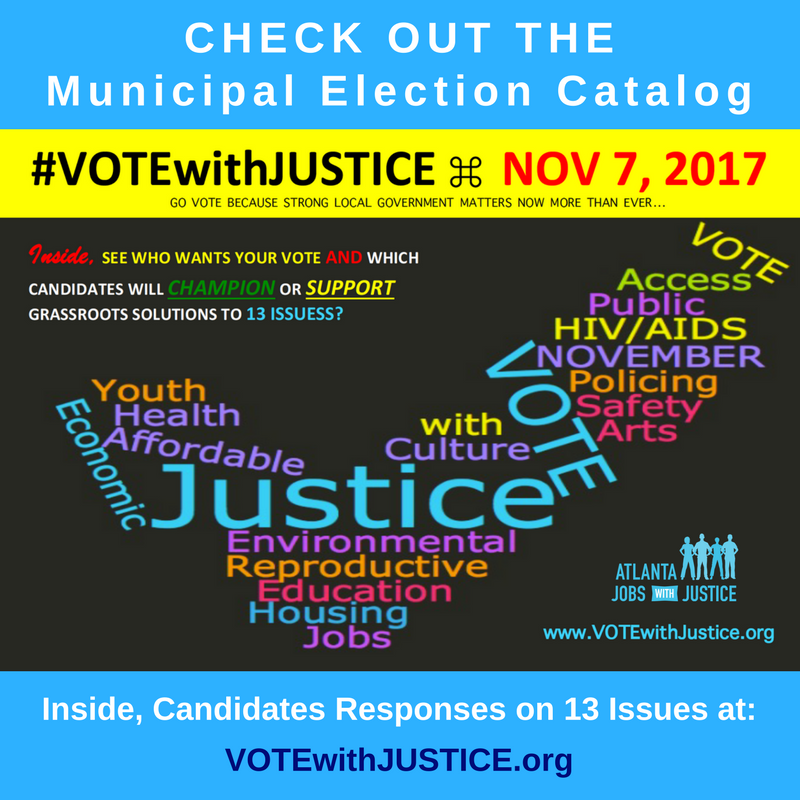 We have workers and community members of all ages who have committed to a 6 week training series that covers the basics of organizing, winning economic justice and $15 in Georgia, the JwJ Way model for winning campaigns, mind/body/soul leadership in organizing, the legislative process and more. We're excited to offer our community this training and look forward to building new leaders within our movements. This won't be the last training, look for announcements for additional training opportunities in the future! 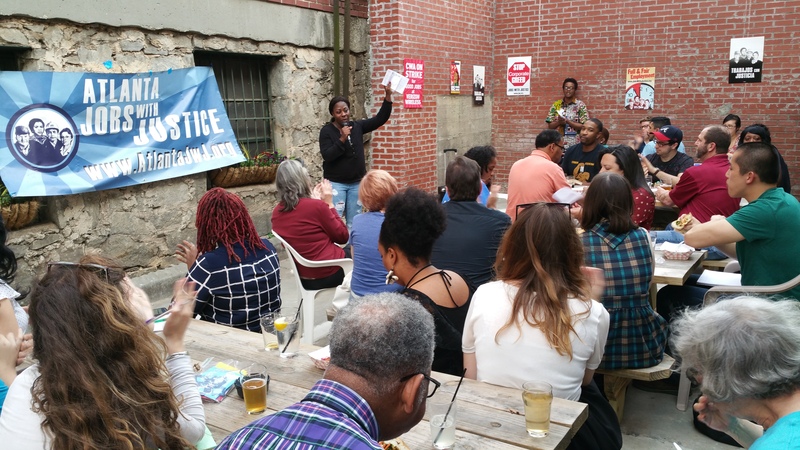 In Mid-March, Atlanta Jobs with Justice kicked off our #MAYDAYATL with community and labor leaders from across Atlanta with an exciting gathering at the Georgia Beer Garden. People are getting fired up and ready to take action at #MAYDAYATL May 1st International Workers Day. We are continuing to organize for #MAYDAYATL 2017, check out the plan of action at Atlanta City Hall and look for info on #MAYDAYATL Organizing Meetings above. Atlanta JwJ joined Freedom University in welcoming the the Coalition of Immokalee Workers to Atlanta. 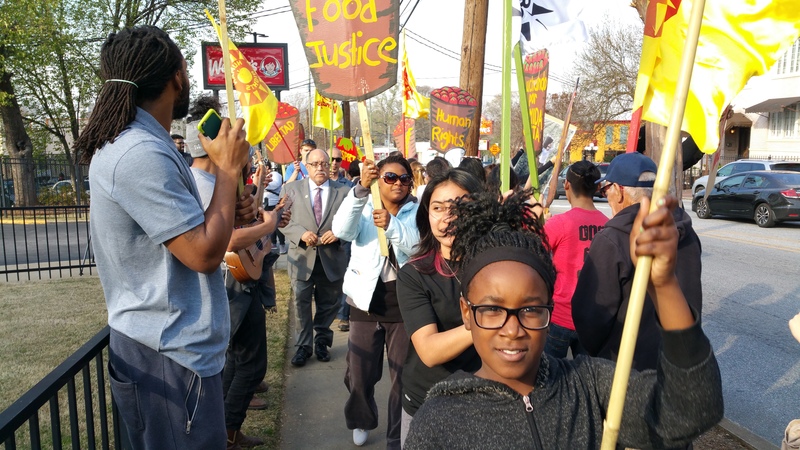 We all came together to call on Wendy's to return to the fields of Florida and make a real, verifiable commitment through the Campaign for Fair Food to guarantee respect, dignity, and justice for farmworkers. 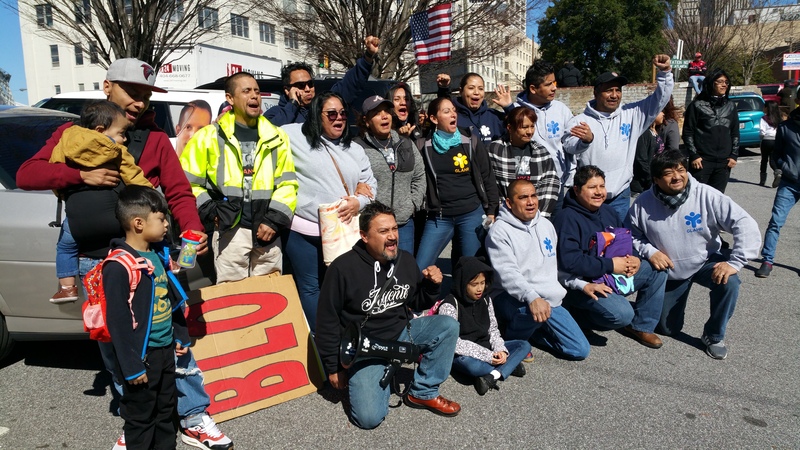 Atlanta JwJ stood with Teamsters 728 Zep Workers on March 17th to help defend their jobs. New Mountain Capital, a private equity firm based in NY, is attempting to rob black Zep workers in Atlanta of living wage jobs and a union contract. We stand with Teamsters 728 and Zep workers in being able to keep their jobs, maintain their wages, and have New Mountain Capital respect their union. 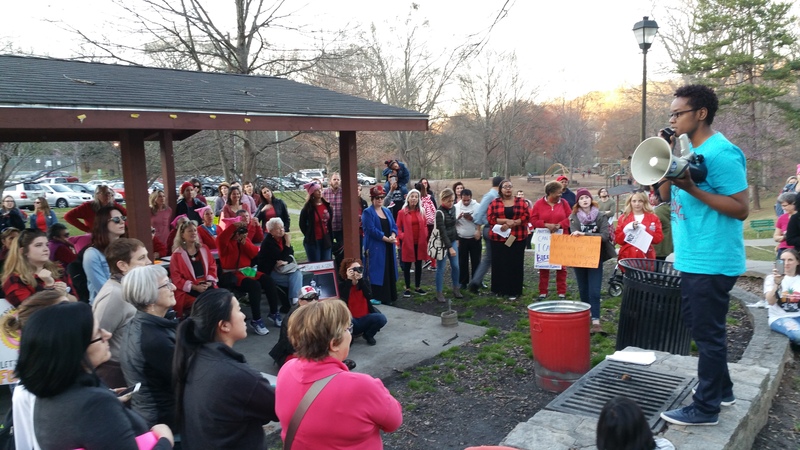 Atlanta Jobs with Justice stood with women leaders from across the Atlanta area leading the resistance against Trump and his right-wing cronies on March 8th International Women's Day. 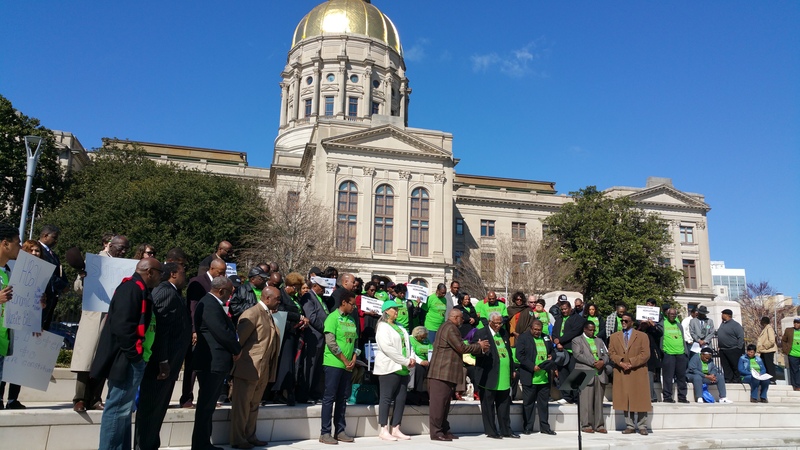 As a part of A Day Without Women, women leaders from the environmental, economic justice, criminal justice reform, movement, and Black Lives Matter spoke out about the injustices facing our communities. 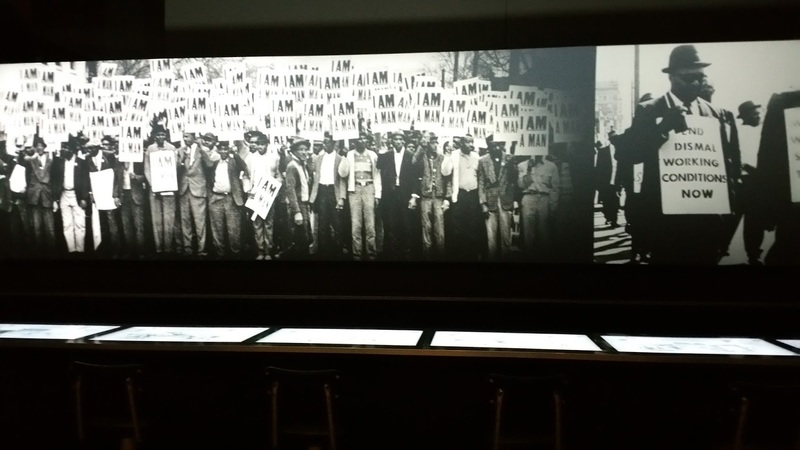 They then led a march in the streets to demonstrate their resistance to attacks on women both locally in the GA State Assembly and from US Congress and the Trump Administration. 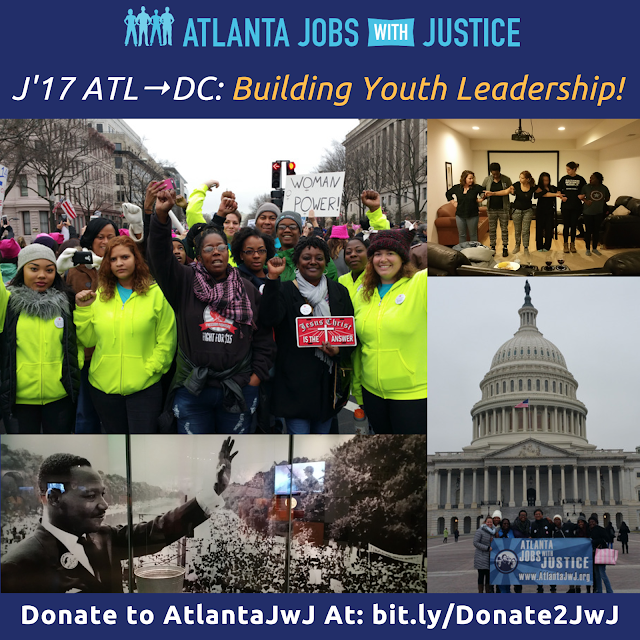 To kick our work in 2017, Atlanta Jobs with Justice organized and lead the J’17 ATL --> DC Young Leaders Unite Trip with 18 young leaders and community members from the Atlanta area. 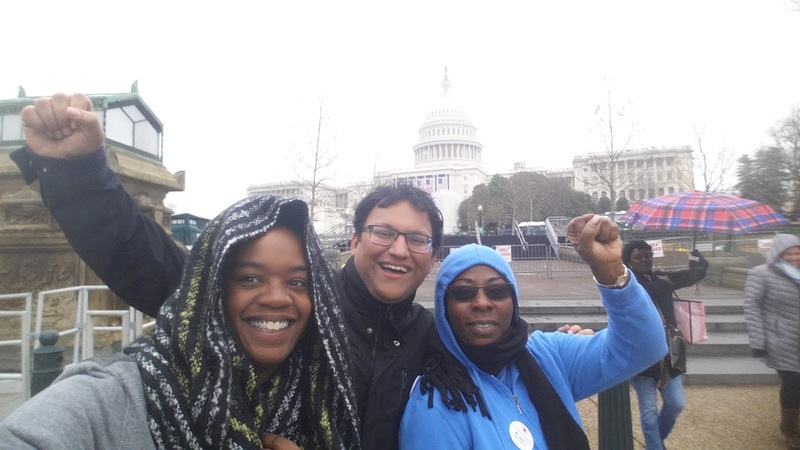 This trip was designed knowing that no matter who won the 2016 Presidential Election that we would need to turn up in DC and show the new administration that we are ready to take action, fight for our rights, and continue marching on a path towards justice with a progressive vision for our nation. 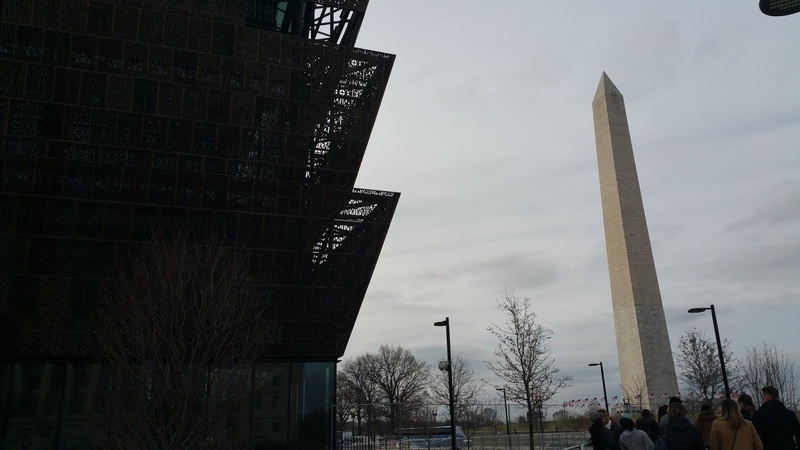 On the first full day in DC and the last day of the Obama Administration, we took our group to the National Museum of African American History & Culture. 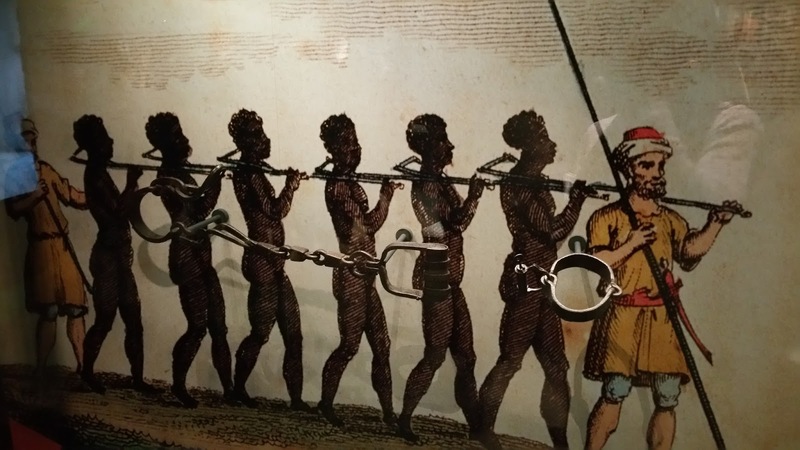 This was to ground ourselves in the history of our nation to better understand the roots of racial oppression in our nation and what it took for freedom fighters to move our nation forward from the age of slavery to the civil rights movement and then to the election of President Obama. 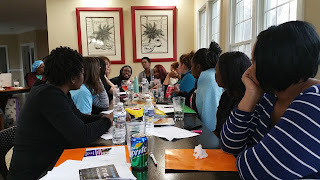 On the second day in DC, AtlantaJwJ hosted a strategy session to discuss our vision for 2017 (outlined below) and to discuss organizing strategies and perspectives on the Atlanta community towards the effort of moving forward on a long term effort of building and achieving a vision for a more just and progressive vision for Atlanta. 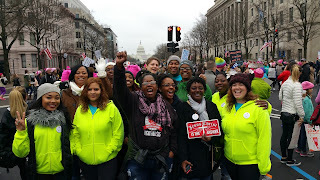 On the third day in DC, AtlantaJwJ lead our trip participants to the National Women’s March on DC on the National Mall. There we so many people at the March that it wasn’t possible to hear the speakers, so we provided some excitement and energy in the areas around our group. We lead several chants, played protest music, and got the energy up in the crowd around us. 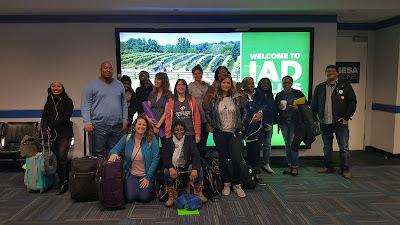 On our last day in DC, AtlantaJwJ had a closing session and debrief with all our trip participants and then gave them the opportunity to take a walk to see major US Government institutions including the Supreme Court and the US Capitol Building.